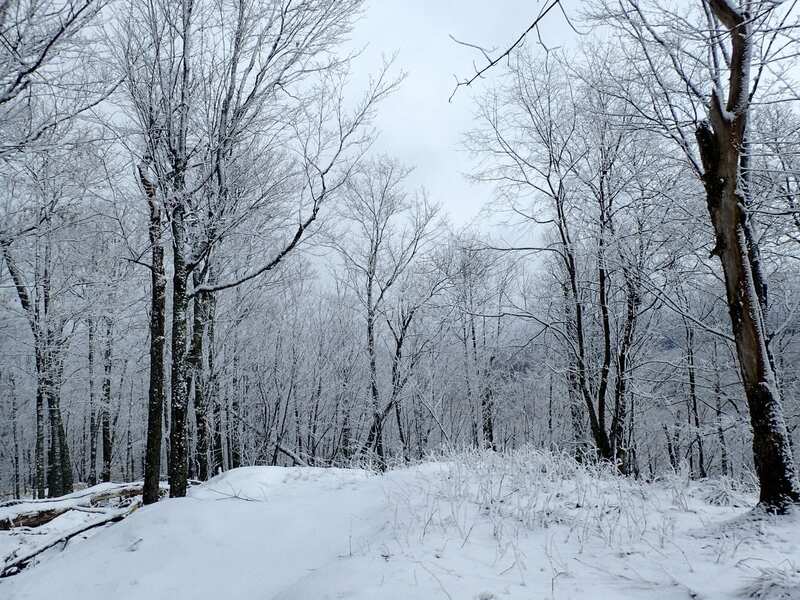 Fresh snow on the Jackrabbit Ski Trail in Saranac Lake. Photo by Phil Brown. Winter hasn’t ended yet. It has been snowing off and on since early Tuesday. Driving from Plattsburgh to Saranac Lake last night, I found myself in a blinding snowstorm. 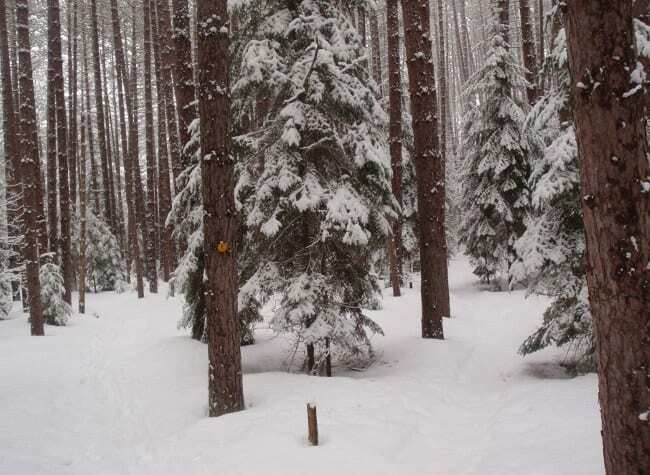 The new accumulation has amounted to only a few inches, but it was enough to inspire me go for a short ski through a pine forest in Saranac Lake on my lunch hour. 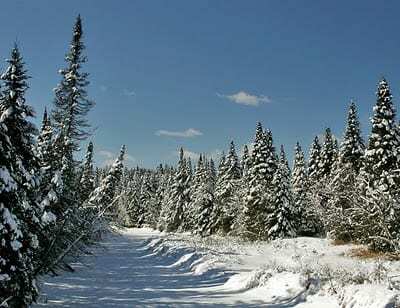 The forest is at the start of the Jackrabbit Ski Trail. It’s a beautiful place after a fresh snowfall. If you like snow, enjoy it while it lasts. 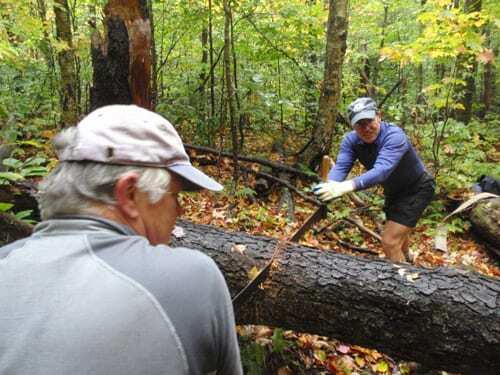 The temperatures are supposed to climb into the fifties this weekend.